Henri Philippe is a partner at Accuracy. He has twenty years of experience in valuation, in both acquisition and dispute contexts. He was previously a member of international consulting firms valuation teams. Henri leads Accuracy’s international valuation workshops. In addition to his work on engagements, he has written many articles in professional and academic journals as well as several books on management packages, option valuation and brand valuation. Henri teaches valuation and financial analysis at several French graduate schools (Université Paris-Dauphine, HEC, Ecole Nationale des Ponts & Chaussées, ENSAE). 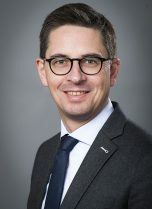 He is on the scientific boards of both the SFEV (French Valuation Experts Association) and the Fondation Dauphine, and is a member of the valuation committee of the SFAF (French Financial Analysts Association). Henri speaks French and English. Henri is an expert in value analysis. He has worked on numerous engagements in litigation, arbitration, M&A, strategic analysis, and valuation contexts. He has extensive expertise in assessing the value of complex assets (start-ups, patents & technology, brands, joint ventures, derivative instruments, etc.) using relevant methodologies (real options, Monte Carlo simulations, decision tree analysis). Henri is regularly appointed as an independent expert to deliver fairness opinions on public offers (squeeze outs, takeovers, mergers, etc. ), particularly concerning French listed companies. Fairness opinion on the price of complex options issued by a French wireless products manufacturer. Fairness opinion in the context of the acquisition of a French-based outdoor equipment and clothing company by a Swiss group that specialises in high-quality clothing. Fairness opinion in the context of the acquisition of complex listed options issued by a European specialist in cold logistics. Fairness opinion in the context of the squeeze-out of the shares of an oil and rubber plantation company by a French transportation company.